Some things in life are forever, familiar comfort, like the way I feel when I enter Karma’s Cafe in Peterborough. I know I can be assured of a fabulous meal and time with friends in a beautiful space. 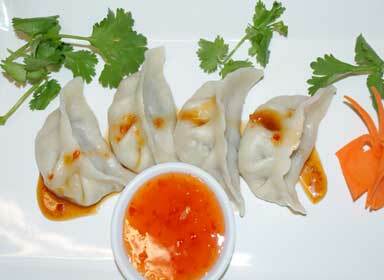 I have long been a fan of Karma Phuntshok’s dishes, a hip fusion of Southeast Asian, Tibetan and Malaysian cuisine. 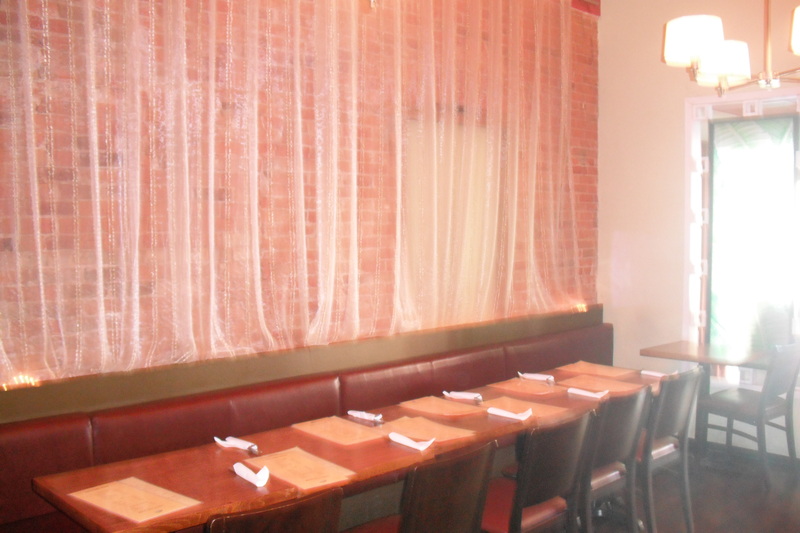 In 2007 Karma’s Cafe was part of the popular HGTV series “Restaurant Makeover”, and even chef Lynn Crawford was impressed with his skills and had little to add to his menu. This guy is truly a culinary artist who is serious about his food. I would normally order the Pad Thai, as I have found nothing comparable here in Ottawa (or anywhere else for that matter) and I was craving it. I ended up opting for the Thai Basil Noodles, tender rice noodles with fresh vegetables, Thai basil, onion, cilantro. A mild, fragrant noodle dish, the basil was present but not overwhelming, lovely baby bok choy and perfect seasonings left me with a smile on my face. My table mates both selected the Noodles with Lime Leaf a kick of a dish with a mix of thick hokkien noodles, fresh vegetables, coconut milk, lime leaves, red curry & herbs. Our beverage of choice was Singha beer, a nice refreshing lager that complimented the dishes perfectly. Karma also serves up some fabulous apps and his ever popular, Karma’s Platter or Tibetan Momos (ground rib eye steak, white onions, cilantro & green onions) are always a crowd pleaser. Listed in Anne Hardy’s “Where to Eat in Canada” in 2007, 2008 and 2009, this reasonably priced, exotic journey is a must stop when travelling through this small city or during your cottage visit to the Kawartha’s. 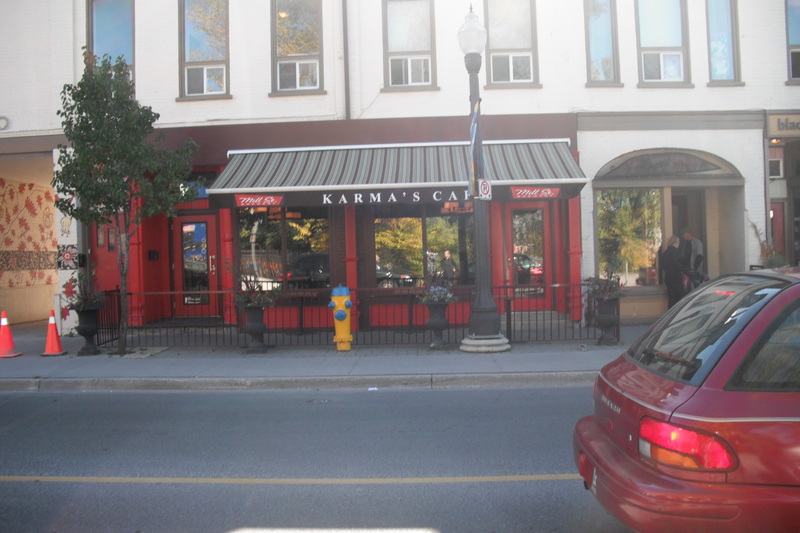 Karma’s Cafe is located at 217 Hunter Street West in Peterborough, Ontario. 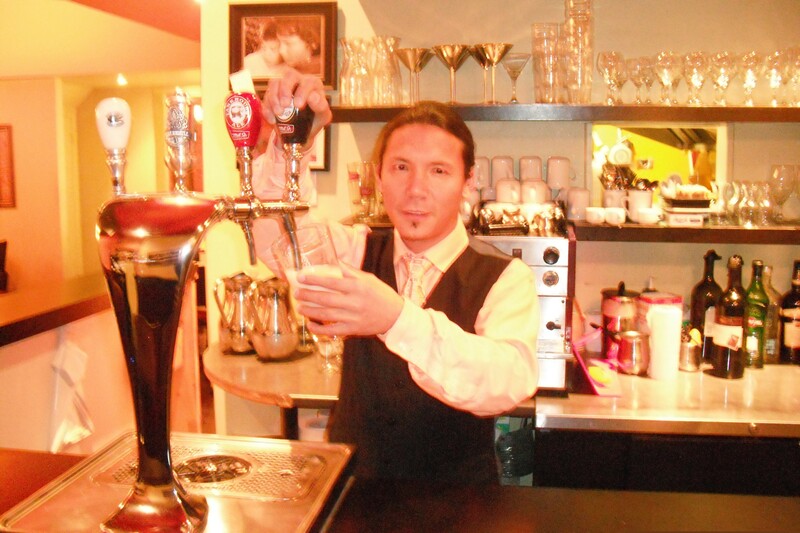 It is situated in the center of Peterborough’s cafe district, in the heart of it’s downtown core. Besides my family and friends, I often forget what else it is that I miss about Peterborough (some of you may know it as Peterboring from previous posts). I realized it is definitely the food, Matsu Sushi, Karma’s Cafe, La Hacienda all the places I love to go, and hope to visit over the holidays. 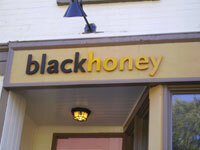 There is one place however that reigns above the rest, a place of sweetness and bliss, and that place is Black Honey. We had to travel home this past week because my good man lost his Dad. These times call for warmth, comfort and the familiar. The mere mention of Black Honey and he had us parked out front on Saturday afternoon.The smells, the colours, reminded me of the times I had spent writing there ( a chapbook of poems were created in those small rooms). We settled in with some hot drinks and two desserts, Apple Spice Cake with Cream Cheese Icing and the Chocolate Caramel Cheesecake. Cait joined us after a visit to Karma’s and there was plenty of dessert to go ’round. The apple cake was light (not as heavy as carrot cake) as was the icing, bursting with delicate flavours, it felt like I was eating something both wholesome (no guilt), yet decadent (who really cares about guilt?). The cheesecake was as delicious as it sounds, light and creamy, the heaviness of the chocolate was nicely balanced with the delicious caramel (and it just looked good). I highly recommend both of these desserts plus, the Lemon Cheesecake, the Queen Elizabeth Cake, and the Black and White cookies. While you are there the staff will kindly give you the showcase tour (take it, good luck deciding!). Black Honey also serves up a great breakfast and lunch. The only thing missing was the Queen Bee Lisa Dixon, and coincidently she was in Ottawa.